Planeteves.com is a fashion and lifestyle venture of well-established Saamag group that has always believed inmaking work pleasurable. A phenomenal organised management of planeteves.com supports creativity, free-flowing of ideas and encourages you to explore and gauge opportunities that dynamic and rampant e-commerce industry encompasses for you. A group of zealous feisty and warm colleagues adds to the USP of planeteves.com. We at Planeteves believe that Team Work makes the Dream Work. A well coordinated, harmoniously synchronized and dedicated team is the reason we have the most satisfied customers. A good work ethic and mutual respect lie at the core of all our operations. Each of our employees strives for excellence in their work and rarely falls short of it. A motivated employee with a promising skill set and a vehement passion to strive for perfection – this is what our hiring team looks for in an applicant and none at the Planeteves team fall short of it. Full of creativity and always looking for innovative changes to make, everyone at Planeteves is a leader. Our Team might have various members but we beat with one heart. Like a teabag bleeds darker into the cup every time each time it’s dipped, with every happy customer our need to serve women only grows. Every individual here shares a passion for bringing more equality into the society and fighting oppression. Dedicated to delivering nothing but the best, you can entrust us with a brilliant shopping experience and 100% satisfaction. As we are ambitious therefore we love people who are driven by passion and ambition. We are always on a look out to incorporate a talented and dedicated team.Here are the fresh openings from us providing you a platform to exhibit your skills and prove your mettle with team planeteves. The work and the working environment at planeteves.com is conducive and challenging at the same time. Each day your creative aspect will be put to test so that we can gain the pace leaving behind our competitors. We are seeking talented people who would join us to Revolutionalize Global Online Fashion. Whether you are a Fashion Designer, Retail merchandiser, or a Technology Professional this is your chance to work with Planeteves. That “Great Creative blood” will need to be on his/her toes if they want this job! Responsible for art direction and graphic design, seeing all projects through from concept, design, production, completion and delivery. Work closely and collaboratively with the Marketing team on all creative projects. Personally work on graphic development. Follow the company’s brand identity standards and guidelines. Interact with Copywriter to develop creative concepts and executions. 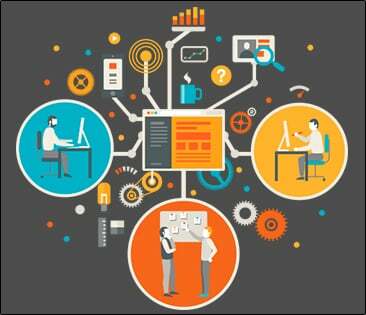 Work closely with Marketing Coordinator to keep all projects on track. Interprets company needs and develops concepts to suit specific guidelines while working within budget constraints. Provide accurate time and cost estimates for each tactic. Presents design work at various stages to stakeholders for review and final approval. Supports the Marketing and E-commerce teams in creating sales materials. Advise stakeholders on all technical visual recommendations and/or issues. Assist in the education and development of Graphic Designing team. Interfaces with printers and various external vendors. Attends press checks and participates in photo shoots as needed. Completion of other tasks and duties as assignment. If you love tax calculations and can goes zig zag with excel than only apply! What you will be responsible for and what we are looking for? Handling Bank Reconciliation & Vendor Reconciliation. Preparing accurate data for TDS and GST . Preparing data for claiming Input tax credit . Finalization of data for audit purpose. Must have worked in some e-commerce firm and should be aware about all the processes related to e-commerce industry. If you know how to showcase our product and connect with user, don’t wait. APPLY! Lead the strategy, planning, execution and ongoing optimization of client brands across social media channels, including but not limited to, Facebook, Instagram, Twitter, LinkedIn, YouTube and Google Plus. Innovate and create new social media possibilities to continually grow social media following, engagement and resulting traffic. Plan, manage and execute content calendars on a weekly, monthly and quarterly basis. Conceptualize and create a wide range of original and re-purposed content for social platforms, including photos, video, animation, graphics and more. Work directly with graphics team to create compelling digital content to help, get approvals and add it to the content calendar. Monitor analytics for social media, review optimization parameters, identify viable ideas. Create and manage advertisements and post boosts on social media platforms Research current and emergent trends in social media to enhance company services to clients Prepare and present periodic reports on social media engagement metrics and analytics as well as traffic. Transform ideas, feelings, thoughts and data into beautiful illustrations or designs with accompanying text to post to Facebook, Twitter and Instagram. Share and curate brand content including blog posts, videos, eBooks, reports, webinars, infographics, etc. via social media channels. Is your hobby is to code and develop something innovative and different; we are waiting for you! A fair understanding of fundamentals and concepts of Magento, PHP, and Zend. Cake PHP Core Knowledge Ability to develop and manage e-commerce websites, web applications, other websites. Work on Magento integration with external systems, viz CMS/CRM/ERP/Payment/Shipping etc. If you can create a brand and know how to keep customers engaged, come join us! Responsible for developing, implementing and executing strategic marketing plans for an entire organization (or lines of business and brands within an organization) in order to attract potential customers and retain existing ones. Conduct market research to uncover the viability of current and existing products/services, and liaising with media organizations and advertising agencies. Marketing Management Graduate will be preferred. Submit your resume to [email protected] our Recruitment Team will get back to you. Work at Planeteves is fun and diverse each day, we love to nurture creativity, diversity and novelty. Team Planeteves definitely doesn’t enjoy boredomand therefore keeps it out of the office environment. There is seamless inter and intra departmental movement thereby the work flow is swift and hassle free. We believe in keeping the environment positive to enhance thequality of work, product and services. This also comes through us since as a team we are driven by passion, compassion and self-motivation. Freedom: To think, to create, to be imaginative; in short be who you are! What else does one need from his/her job. It is surely an uplift to work with spirited and independent team whilst keeping your individuality intact. Warmth: The basic yet the vital ingredient which is rarely felt or seen in many places, you will find in abundance here. We work closely with warmth as an official family. Healthy communication is the one of the important factors that keeps the team united and work flow in the right direction. 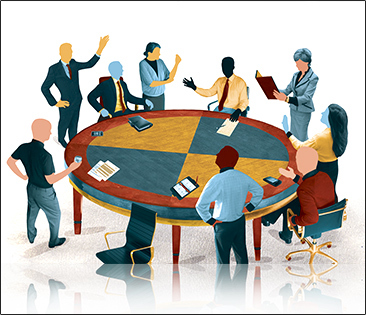 Every day morning meeting at Planeteves gives us a fair idea about the responsibilities each individual is holding. Clarity in the profile makes it easy to remove the interactional errors. Opportunities: Bounty of it is available in our company, you just need to have an eye for it. And if you don’t then you will be buzzed to learn something new each day. The experience here is sure going to enrich, enlighten and equip you for the bigger challenges in life. Encouragement: It is truly the subsequent of the above but individual appreciation in front of the team surely peps-up your spirit. We love to be on our toes to experience that appreciation from our colleagues. But the cool bosses at the end of the day ensureright guidance is given to fulfil our responsibilities. As a part of the squad one will get 12 days casual leaves in a year so that he/she can maintain the work/life balance. Whereas 15 earned leaves to be part of celebrations or (god forbidden) be there to condole the family in times of hardships. Management knows your presence is indispensable for your family. Health can ditch you anytime for that company aids you with 12 sick leaves, so rest to the hilt to be back with vengeance. Our company loves that fire in you. Keep it burning!!! Company being compassionate realise your importance and role in its functioning and the proof is the medical and life insurance provided by the management. The employee has the insurance and company pays the premium, your well-being is imperative as for management; you are an asset. Planeteves share the responsibility of safeguarding your future by keeping a part of our salary as provident fund. So, relax and spend you are saving with us. 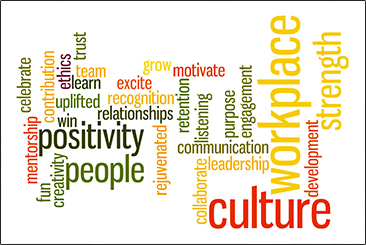 Team at planeteves.com encourages and foster conducive working environment, making each second fun and effective. We are always in urge to welcome new talent in industry to be a part of our team. A journey which started with aim to emerge as best destination for online shopping for women has been tremendously fast-paced and exhilarating for company, resulting in over 400 fashion and lifestyle brands out on offer for customers. We are planning to expand our team, for which seek aspiring professionals to connect with us. In next few years, our e-commerce portal, aspires to transcend demographic boundaries by extending its focus across varying age-groups, and locations. For this, we need young enthusiastic talents to work for us. If you are confident enough and ready to take new challenges as golden opportunity of growth, come join us. Confident with reference to the growing appetite of the Indian women for global fashion trends and hottest brand portfolios, Planeteve.com team has been continuously working on designing the widest catalogue of exclusive fashion and lifestyle products accessible online. We have ample facilities to provide training to young talent to help support us once they enroll confidence in their skills. So, if you have drive to work smarter in a distinctive way, contact us. It gives me immense pleasure to introduce you to Saamag’s new endeavour Planeteves.com. A new venture in a truly competitive sector of e-commerce but we are sure that we will be able to make a new mark. Planeteves is a tribute to the ever dynamic yet generous; ‘women’, who are truly the reason that fashion breathe. Their sartorial discernment can never be questioned as they are impeccable with it. 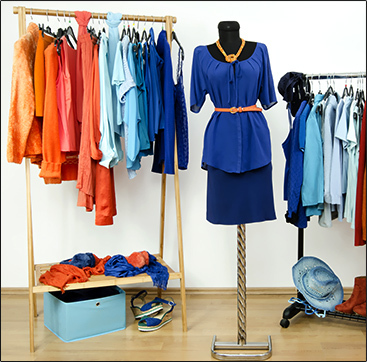 It comprises of each component that makes her closet, from apparels to footwear, from cosmetics to accessories, from lingerie to fragrances, planeteves has it all. The inspiration came from her closet that has multiple hues, mystical aroma and trendy feet. Undoubtedly it is difficult to encompass all her shades and character, but we have made an effort to smitten her and a destination where he can pick the gift that will make her blush with glee. Confident with reference to the growing appetite of the Indian women for global fashion trends and hottest brand portfolios, Planeteve.com team has been continuously working on designing the widest catalogue of exclusive fashion and lifestyle products accessible online. We have ample facilities to provide training to young talent to help support us once they enroll confidence in their skills. So, if you have drive to work smarter in a distinctive way. Planeteves, is indeed special; but the way you showered your wishes and blessings on Saamag’s other projects I expect the same for this effort.Looking forward to your feedbacks and suggestions, please visit the website planeteves.com.